Fill martini glasses with ice to chill glasses. Half fill cocktail shaker with ice. Add Taizi, yuzu syrup, yuzu Juice and brewed tea to the cocktail shaker. Discard ice from glasses. 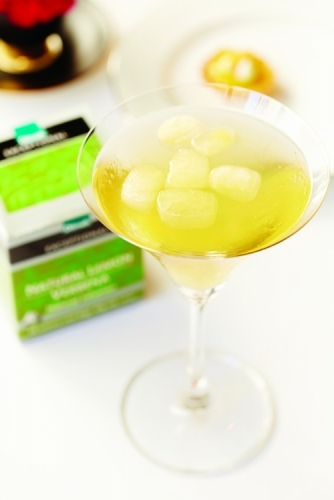 Put three Lemon Verbena cubes into each glass. Pour prepared cocktail over ice and serve.